To reproduce: 1. Start cam in photo mode M. 2. Set exposure time to 10 seconds+ 3. Enter ML menu -> Shoot -> Adv. 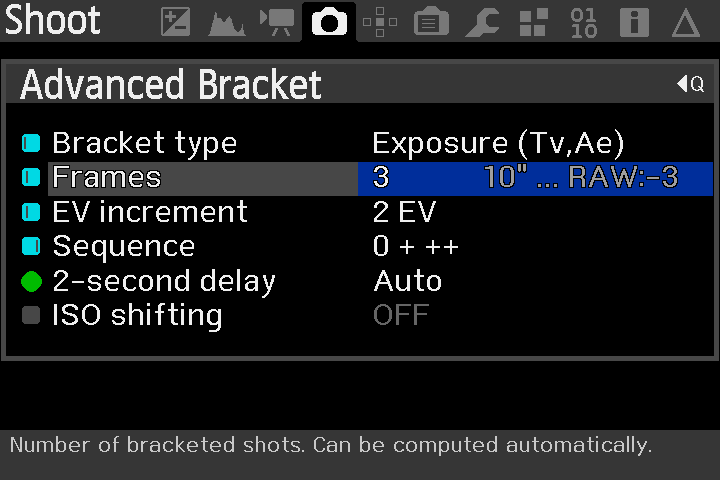 Bracketing. Select 3 frames, sequence 0 + ++. See For highest duration you will see "RAW:-3". Number will change with highest exposure duration. If you select a much shorter exposure duration (= all exposures < 30 seconds) everything is ok.